Designed to help providers implement HIPAA rules and regulations, HIPAA Tool Kit is an ideal resource for creating a new compliance program or conducting a compliance assessment. Includes customizable policies and procedures for HIPAA privacy, security and transactions requirements, and a comprehensive HIPAA encyclopedia covering topics such as the recent Breech Notification rules and risk assessment reporting. 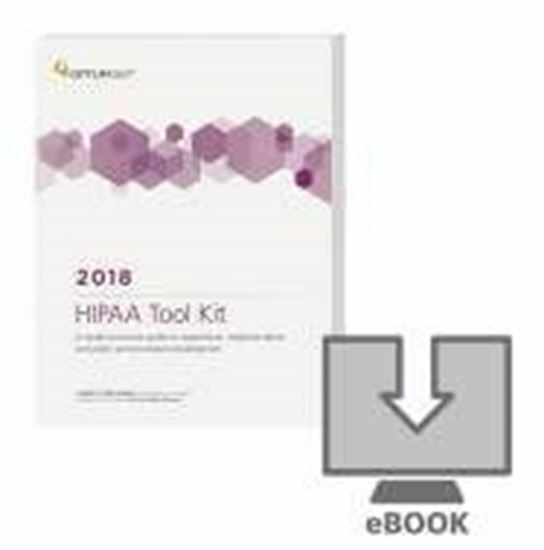 Remember—You get our 170-pageHIPAA Customizable Compliance Plan free when you purchase the HIPAA Tool Kit. • Optum360 Edge—HIPAA Handbooks for Clinicians and Office Staff. Ready-to-use, customizable, Handbooks explain HIPAA privacy and security compliance, includes 20 question exam. • Get 5 CEUs from AAPC when you pass the online exam. • Get our 100-page HIPAA Customizable Compliance Plan free when you purchase the HIPAA Tool Kit. Policies and procedures are ready to be customized and available in easy-to-use Microsoft Word format. • Comprehensive management policies and procedures. More than 60 pages of new customizable policies, procedures and forms. Includes our detailed Risk Assessment/Risk Analysis tool. Get customizable reports and forms for the risk assessment that the Office for Civil Rights expects you to have in your records. • Updated state breech laws. Get state-by-state details of local rules governing breach release of individuals’ protected health information. • Policy and procedure development guidance templates. Over 200+ templates for privacy, security, transaction policies, and forms that can be customized to expedite the development of policies. You get both print and electronic formats. • Also available as an eBook. Convenient for key word searching. • Skills tests. Quantify your and your staff's level of understanding of HIPAA topics. • Security implementation guidance. Get the latest in security and submission rules, regulations, and strategies. • Assessment and implementation guidance for each provision. Separate chapters focusing on issues specific to that provision allow users to perform comprehensive and accurate assessments that lead to successful implementation. • Customizable training materials. Get ready-to-use presentation content plus talking points designed to make complex HIPAA topics understandable to all.